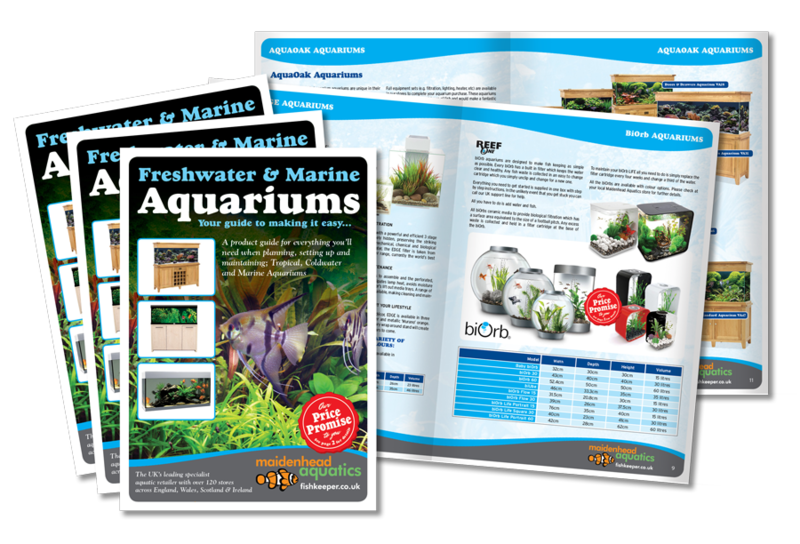 Here are just a few Aquatics Design based projects we’ve completed over the last couple of years or so. 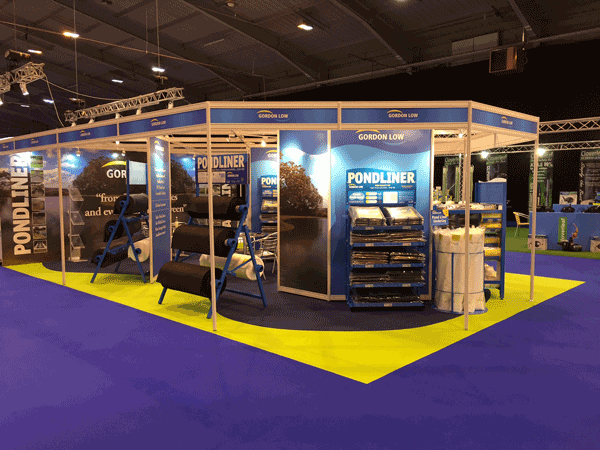 For Aqua15 Gordon Low asked us to re-design their 6m x 9m stand at the show. 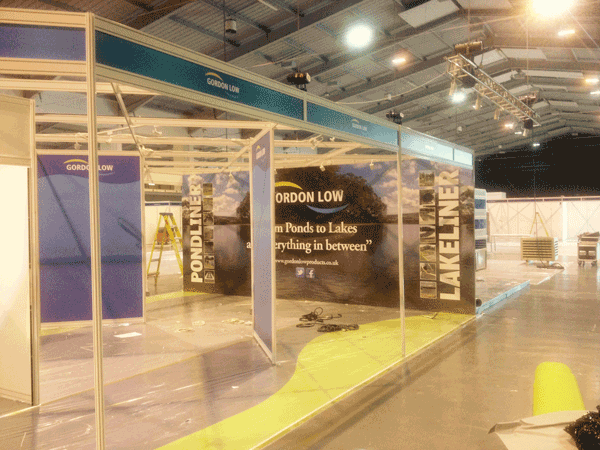 The photographs above show the progress of building the stand and the final thing. 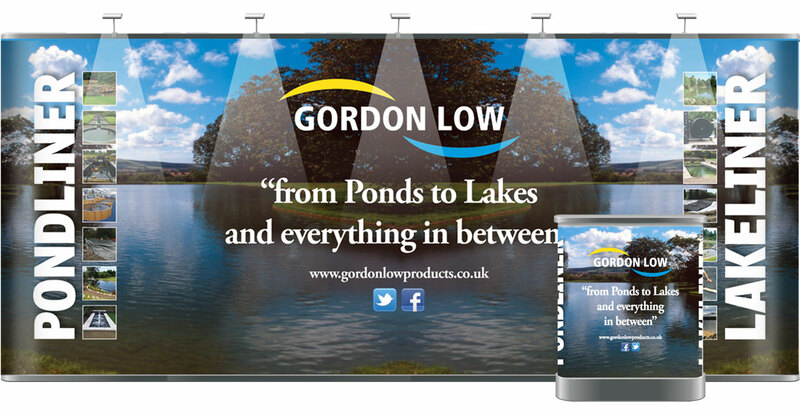 The brief was to produce something striking and very different for the company. 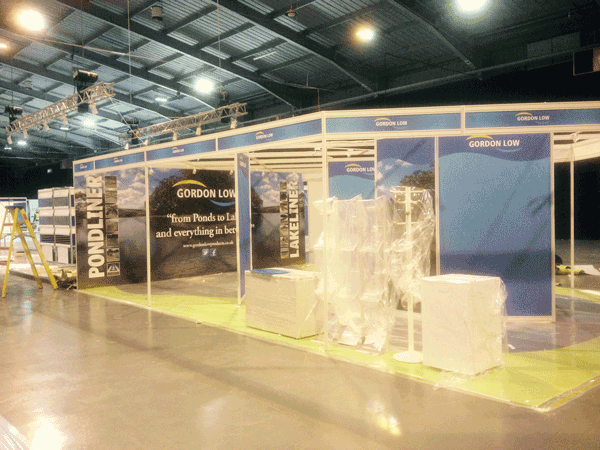 Our Aquatics Design work for Gordon Low also included the design and production of their New Brochure. 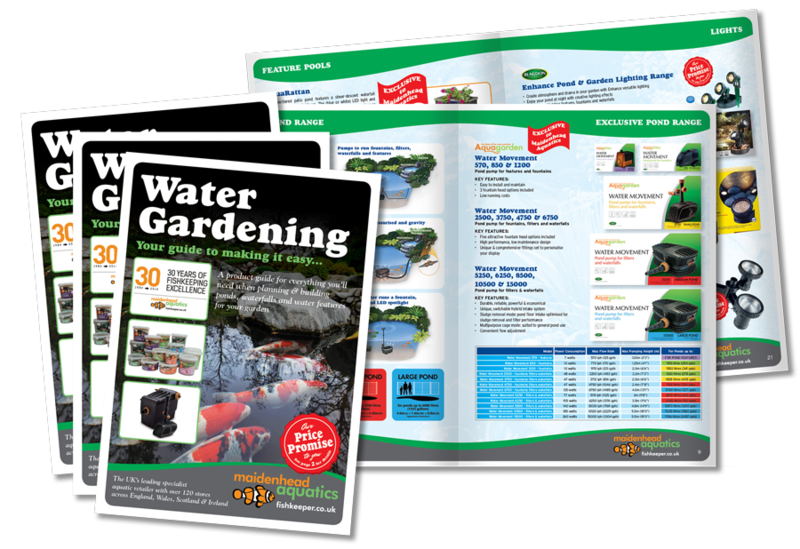 Far left is the Aquarium Brochure and in the middle the Water gardening version, full of products, hints and tips for installing a successful aquarium or water garden. 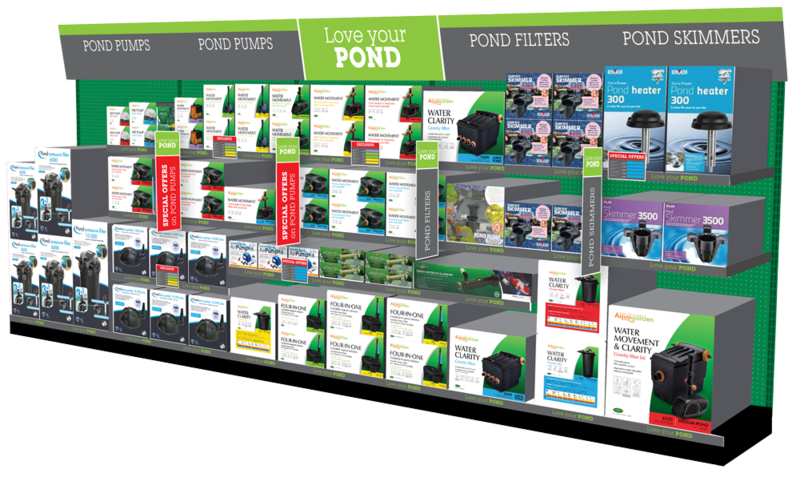 In addition for Aquatics Design, below we have the new in store “Love you Pond” merchandising design. 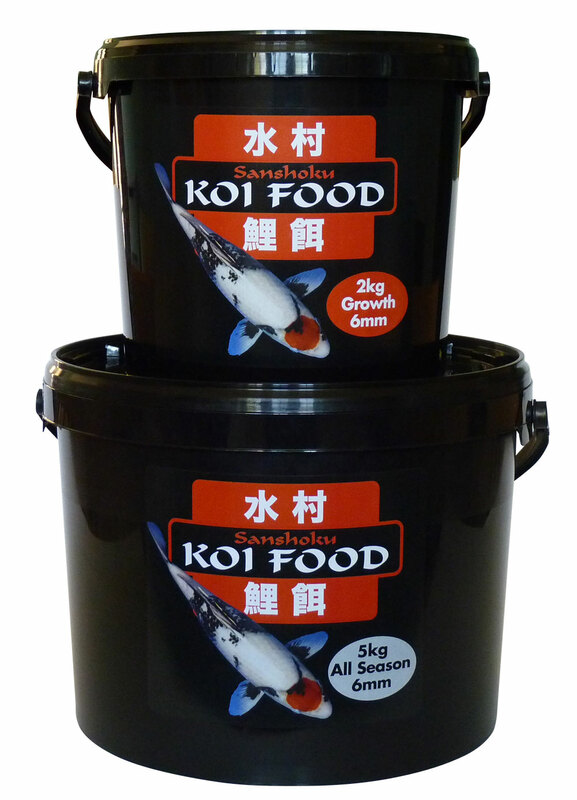 To the right is the packaging design we created for Aquatic Village’s own brand Koi Food.